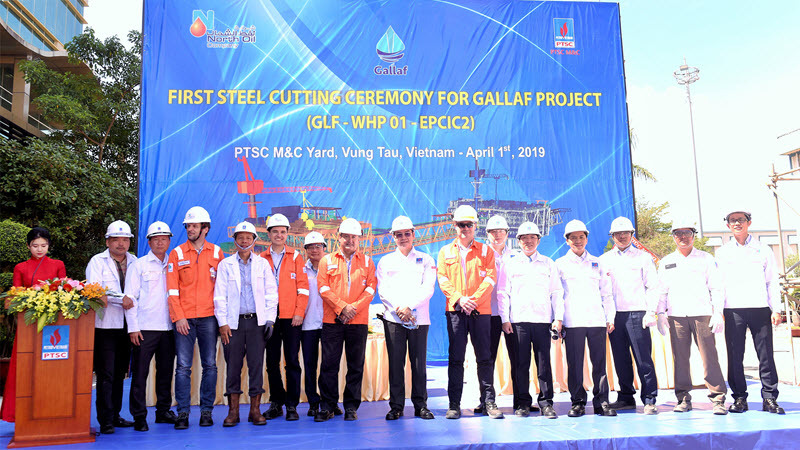 On April 01st, 2019, the First Steel Cutting Ceremony for Gallaf Batch 1 EPCIC2 Project has been launched at PTSC Mechanical & Construction (PTSC M&C) Fabrication Yard in Vungtau City, Southern of Vietnam. 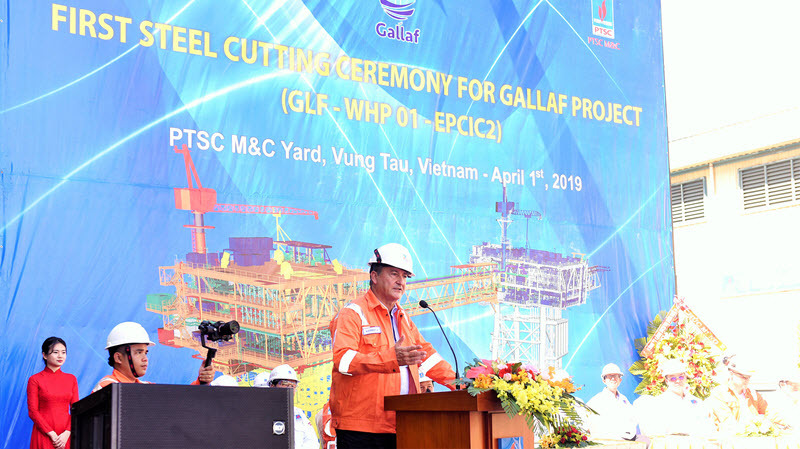 This is one of the key milestones of Gallaf Batch 1 Project and it should be emphasized that the first cut ceremony only took place around 4 months from the LOI date from NOC. This shows the great efforts of PTSC M&C’s Project Management Team together with its subcontractors during the time. Attending the event there were representatives from North Oil Company (NOC), PTSC Corporation, Project Management Team and PTSC M&C’s subcontractors for the project. 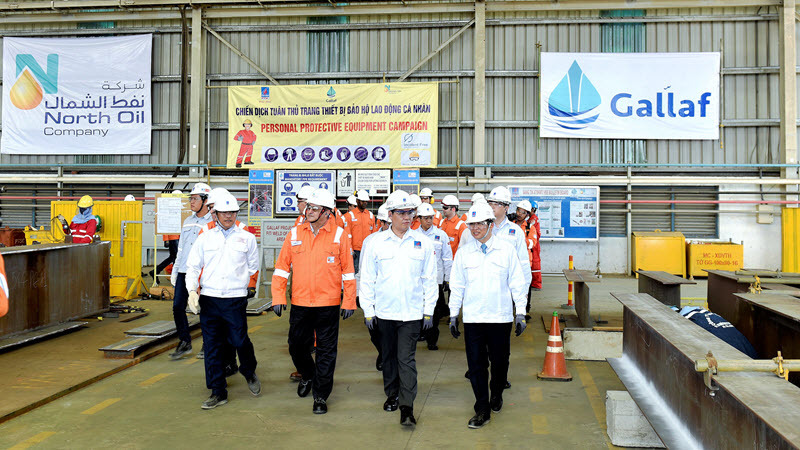 Following the plan, PTSC M&C will carry out the detailed engineering, procurement, fabrication and onshore commissioning works for 03 wellhead topsides and 03 bridges at its construction yard until Q2,2020. The transportation, installation, offshore hook-up and commissioning activities at offshore Qatar are scheduled in Q3,2020. The Project is scheduled to complete and handover to NOC by the end of 2020.